Some church pew ends meet the floor and others don’t. The second type are called cantilevered style church pews. 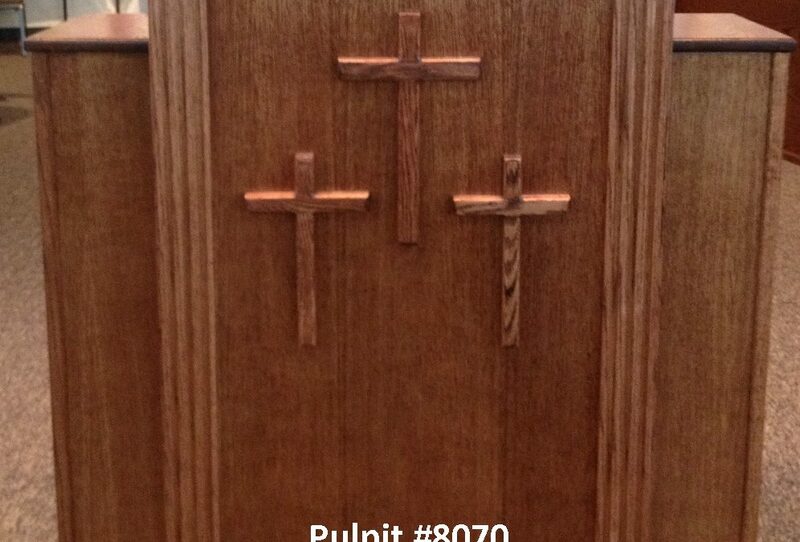 Deciding which church pew end style is right for your church comes down to knowing your church’s needs and how the style can work in your church sanctuary. Church pew ends that meet the floor, included in our F-series of church pews, are the more traditional style of church pew ends. Churches that are looking for a traditional look for their church or to match traditional architecture styles usually do better by choosing church pew ends that meet the floor. 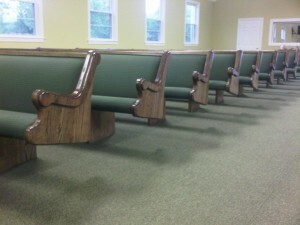 Floored church pew ends, like the ones above, also have more of a physical presence in the aisle to give a church a more grounded feel as well as visually creating a aisle. For churches that are more traditional, are popular locations for weddings, or are looking for special woodworking on the side, church pews that meet the floor in our F-series are probably the better choice. Cantilevered pew ends, the ones shown at right, are much more contemporary in style and in the way churchgoers use them. The look of the church pews creates a less grounded feel than floored church pews and can also physically open up the space in your church. Because the church pew ends are floating, people can congregate more easily in the aisles before and after church services to converse with friends and neighbors. If your church has a more contemporary approach or socializing in the sanctuary is a popular aspect of your church Sundays, cantilevered styles might be a better choice. We have a wide range of cantilevered pews in our C-series. 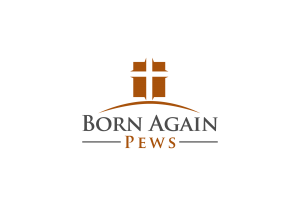 If you’re thinking about church pews and would like to speak with one of our Furniture Consultants about whether floored or cantilevered church pews are better for your church, contact us and we’ll help you make the best choice for your church.